Epionce Renewal Eye Cream claims to reduce signs of aging, such as the appearance of wrinkles and fine lines, to promote more youthful and radiant skin. 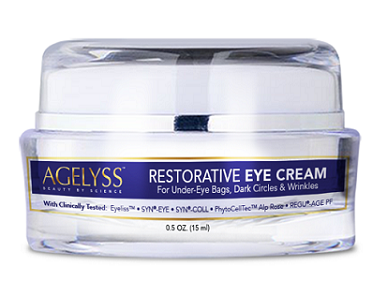 This product also claims to reduce puffiness and dark circles around the eye. However, is this product the best solution for your sensitive eye area and help you achieve that youthful look? This review will assess the product’s ingredients as well as the manufacturer’s customer support to help you determine if this is a wise product choice. What’s in Epionce Renewal Eye Cream? This formula contains a wide variety of naturals ingredients that have been synergistically combined to support the manufacturer’s claims. Rosa Canina Fruit Oil is rich in various vitamins and minerals that have been known to tighten skin while reducing potential irritation. Safflower Seed Oil and Meadowfoam Extract contain high amounts of fatty acids which promote healthy skin through hydration and maintaining moisture. Linseed Seed Extract is rich in omega-3 fatty acids which support youthful looking skin while Shea Butter and Apple Fruit Extract soothe the skin, preventing hyperpigmentation. Olive Oil nourishes skin with its high content of monounsaturated fatty acids while Hyaluronic Acid further retains moisture. Although these ingredients have many benefits, the absence of any patented ingredients in this formula is a concern. Patented ingredients are clinically proven to provide targeted relief, giving customers peace of mind of product efficacy. For example, alternative products on the market have as many as 5 patented ingredients which include Pronalen Fruit AcidsS AHA-50 – formulated to promote cellular renewal – and PhytoCell Tec Alp Rose – which increases the longevity of skin stem cells. 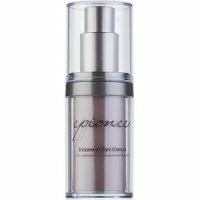 How Do You Use Epionce Renewal Eye Cream? There are very vague instructions given for the use of this product. The only information provided is for users to gently apply the cream o the eye area 1 – 2 times a day. We are uncertain how much product to use per application, the lifespan of the product, or when results may be seen. 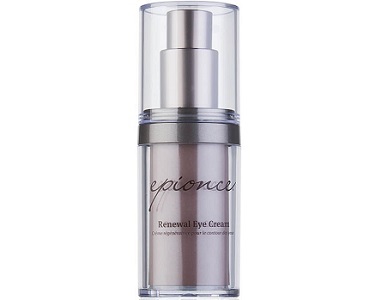 Epionce Renewal Eye Cream can be bought from the manufacturer’s website, where a 0.53 oz. pump bottle retails for $70. Although the amount of product received per unit is higher than the average, this is an expensive price to pay and customers may not be willing to make such a large investment for a product they may not feel will be effective. There are no discounts or trial packs available, which is unfortunate. The manufacturer offers a 60-day period where products may be eligible for a refund. This information is given via a form and does not disclose any other important policy information like if partially used products qualify for a refund. In saying so, a refund is not guaranteed, which is a concern. Unfortunately, there are not enough customer reviews available for us online to confidently confirm the manufacturer’s claims of efficacy. Epionce Renewal Eye Cream has a variety of natural ingredients that may support more youthful-looking skin around the eyes. However, the absence of any patented ingredients may suggest that this product is less effective than competing brands on the market. Although there is a lot of eye cream per unit, the cost is a steep investment to make for a purchase, especially without the assistance of additional discounts. While there is a manufacturer’s guarantee, it is limited and vague. For these reasons, we do not recommend this product.